Core Practices Overview: Watch the video titled An Introduction to Student-Centered Coaching. As you watch, listen for the Seven Core Practices for Student-Centered Coaching. Read and reflect on the following continuum that describes the differences between student-centered, teacher-centered, and relationship-driven coaching. Role The coach partners with teachers to design learning that is based on a specific objective for student learning. The coach moves teachers towards implementing a program or set of instructional practices. The coach provides support and resources to teachers. Focus The focus is on using data and student work to analyze progress and collaborate to make informed decisions about instruction that is differentiated and needs-based. The focus is on what the teacher is, or is not, doing and addressing it through coaching. The focus is on providing support to teachers in a way that doesn’t challenge or threaten them. Use of Data Formative assessment data and student work is used to determine how to design the instruction. Summative assessment data is used to assess progress towards mastery. Summative assessment data is used to hold teachers accountable, rather than as a tool for instructional decision-making. Data is rarely used in relationship-driven coaching. Materials Textbooks, technology, and curricular programs are viewed as tools for moving student learning to the next level. The use of textbooks, technology, and curricular programs is the primary objective of the coaching. Sharing access and information to textbooks, technology, and curricular programs is the primary focus of the coaching. Perception of the Coach The coach is viewed as a partner who is there to support teachers to move students towards mastery of the standards. The coach is viewed as a person who is there to hold teachers accountable for a certain set of instructional practices. The coach is viewed as a friendly source of support that provides resources when needed. Role of Relationships Trusting, respectful, and collegial relationships are a necessary component for all forms of coaching. © Sweeney (Corwin Press, 2013). All rights reserved. The coach and teacher articulate what they hope the students will learn as a result of their partnership. Choosing a goal that begins with, “Students will…” ensures that we are student-centered. Goals may focus on the standards, student engagement, or behavior. Students will write an informational text that provides the reader with knowledge on a topic. Students will annotate a text in order to name the central idea of a passage. Students will interpret parts of an expression, such as terms, factors, and coefficients. Students will express their mathematical thinking in words, pictures, and numbers. Students will regularly contribute when working in small groups. Students will use strategies for productive dialogue when discussing new learning. Students will stop and synthesize several times during a course period. Students will complete the assigned task. Students will ask questions when they do not understand the assigned task. Students will self-evaluate their progress relative to the learning target. Students will learn their math facts. Students will create a diagram that shows the water cycle. Students will learn the parts of a cell. Students will learn how to structure a paragraph. Students will use their knowledge of base ten to solve addition and subtraction problems. Students will use reasoning and evidence in an argumentative piece of writing. Students will use annotation to track their thinking across a text. Students will write a lab report that includes appropriate symbols, formulas, and compounds. Students will increase their reading level. Students will write a five-paragraph essay. Students will learn about the Revolutionary War. Students will increase their number sense. For more, try this: Read and annotate the following goal-setting conversations to identify how the coach moved the teacher towards a student-centered goal. Coach- I noticed on your survey that you are looking for help setting up guided reading groups. Can you tell me a bit more about this? Teacher- I came from a different district and we used a strict reading program. I know I’m supposed to be doing guided reading groups, but I’m not sure how. I have all of these books to use, but to be honest, they haven’t left the boxes because I’m really not sure what to do with them. Coach – Let’s talk a little bit about your students. How would you describe them as readers? Teacher – They are across the board like most second graders. Some are reading and others are barely able to recognize common sight words. It’s overwhelming. Coach- What are your hopes for your students as readers? What do you want them to master by the end of the year? Teacher – I’d really like to see them comprehending whatever they read, no matter what level reader they are. I know that inferring is an important standard, and that is a goal I have for my students. Coach-That makes a lot of sense. How would you feel about focusing on inferring, and we can do that in the context of guided reading? That way we can work together to set up guided reading groups, dive into your materials, all with a goal in mind that you have for your students. We can even do some pre and post assessing to see if we are on the right track. Teacher – I love that idea because it feels doable but also like we are taking on something that I’m supposed to be doing. Coach- Terrific! Our next step will be to figure out how we will pre-assess your students to see how they are doing with inferring, and then we can plan instruction that will incorporate guided reading. Why don’t we meet at the same time next week? Coach- I see that you would like to participate in a coaching cycle. What do you have in mind? Teacher- To be honest, it’s my 3rd hour algebra class. The kids’ behavior is really challenging. I thought you might have some classroom management ideas that could help. Coach- Let’s talk a little bit about that course. What are you working on now in terms of mathematical skills? Teacher- We are focusing on order of operations. But that’s really not what I need help with since I’m following the district math program, and the rest of my classes are doing fine and learning the material. I need help with classroom management. Coach- OK, I hear you on that. What sort of positive behaviors in your other classes would you like to see in the 3rd hour. Teacher- We do a lot of sharing of thinking on the SmartBoard and I’d like to see the kids listening to one another and asking questions to clarify their own thinking. I’d like to see them treating each other with more respect. And, I’d like to be sure that they take responsibility to learn the material. Coach- It sounds like a big goal for this class would be being learners that are accountable for their own learning as well as the learning of others. Teacher- Yeah, I guess so. Coach- How about if we focus on those behaviors with the class? The ideas you listed were a great start on a rubric we could design, maybe even with the kids, that would be how we would assess their progress. Then at the end of our coaching cycle, we can see how they’ve progressed in demonstrating these behaviors. Teacher- I think it would really help to work with you on this. It sounds like we may come up with some good ideas. Coach- I agree. We’ll get started when we meet in a few days. After a goal is identified, it is unpacked into student-friendly learning targets so that the teacher and coach understand what the students should know and be able to do. Sorting student evidence helps a coach and teacher recognize patterns and trends related to student learning. Then, the coach and teacher co-plan instruction that directly focuses on the students’ needs. Instruction is differentiated based on the students’ needs. Sorting sessions drive differentiation. Teacher and coach determine how the lesson will be shared through co-teaching. Who needs a few more strategies? Who is not showing evidence of the learning targets? When sorting student work, make three piles of work that have similar attributes. That way, you are less tempted to not only celebrate the masterpieces or become consumed by the work that is below par. The process is led by the goal(s) for student learning and we use these simple questions to guide the process. How do the student work samples compare to the learning targets we set for students? What will I do next to address the students’ needs? Download this note taking tool for sorting sessions. Coaching cycles create authentic partnerships that increase student outcomes. In a coaching cycle, the teacher and coach are both in the mix, reflecting on their decision-making, problem solving, and figuring out how to adjust instruction in the moment. Co-teaching creates authentic partnerships. Rather than sitting on the sidelines, the coach and teacher are in the mix, reflecting on their decision-making, problem solving, and figuring out how to adjust instruction in the moment. Noticing and Naming Point out examples or non-examples of students’ learning. Note the things you are hearing, what the students are saying, what you see the students writing. The focus is on how the students are demonstrating their current understanding in relation to the learning targets. Surfaces what the students are doing to inform planning conversations with the teacher. Establishes a focus on student learning. Thinking Aloud The coach thinks aloud throughout the lesson so the teacher understands the thinking behind the instructional moves. For example, why did the coach choose this text? How will the coach model a particular method of problem solving? What did the coach notice during the conference? Provides a learning experience for the teacher throughout instructional delivery. Also provides the coach with more opportunity to address coachable moments right then, rather than saving them for a future planning conversation. Teaching in Tandem Maintain close proximity with the teacher and provide your thinking about the instructional decision-making as it occurs. This may include real-time problem-solving, discussion about how to redirect students, and/or discussion about pacing, modeling, or delivery of instruction. Makes it easier to tap into ‘coachable moments’. However, it is important to align teaching in tandem with the goals that were identified by the teacher. Otherwise, it could feel evaluative and/or judgmental. It could also highlight an effective practice the teacher is currently doing. You Pick Four The teacher chooses four students to monitor across the instructional block(s). Rather than leading the students through small group instruction, the coach studies the students to provide additional insights to the teacher. This information is used during the planning session. Creates an opportunity for the teacher to have ‘eyes in the back of her head’. Provides a more dynamic sense of student learning as it relates to the instruction and learning targets. Informs planning conversations with the teacher. Micro Modeling The coach teaches the lesson while the teacher observes. Ideally the teacher focuses on the instructional moves and the impact the instruction had on student learning. The coach may provide the teacher with a note taking tool that includes both areas. Provides the teacher with a vision for instructional delivery. It can also create an opportunity to dialogue around how instructional moves moved student learning forward. Modeling can take place during a segment of the instructional block rather than across a whole lesson. Watch: Video of co-teaching in action. Look for evidence of the coaching moves. The coach continually asks, ‘Did it work? Are we showing growth? Where should we go next?’ By documenting their impact, coaches are able to validate coaching and engage more teachers. The coach and school leader work together to define their respective roles. They work together across the year to design plans that focus on student and teacher learning and growth. Plan how to encourage teachers to engage in coaching cycles and celebrate those who do. Sets high expectations for teacher and student learning. Provides support to teachers so they can meet the expectations that have been established by the school leadership. Holds teachers accountable for meeting the needs of the students. Organizes coaching so that it aligns with the accountability measures that are in place. Establishes a vision and sets priorities for how to move student learning forward. Prioritizes work that has the most potential to impact student learning. Makes strategic use of the coach to move teacher learning forward. Articulates his/her role as a coach and engages teachers in the coaching process. Leads the decision making about the scope and breadth of the,content that is taught. Helps teachers design instruction that aligns with expectations about the content that is taught. Knows what high quality instruction looks like and sets the expectation that this is the norm throughout the school. Skillfully supports teachers to implement high quality instruction. Is aware of situations when students are underperforming and works to address the issue. Works with teachers across all levels of,performance. Spends time in classrooms and provides teachers with feedback as a result of the observations. Spends time in classrooms to support the,delivery of effective instruction. Creates the structure and time for teachers to collaborate with each other and the coach. Designs and facilitates collaboration among,teachers. This page is best viewed on a laptop or desktop. 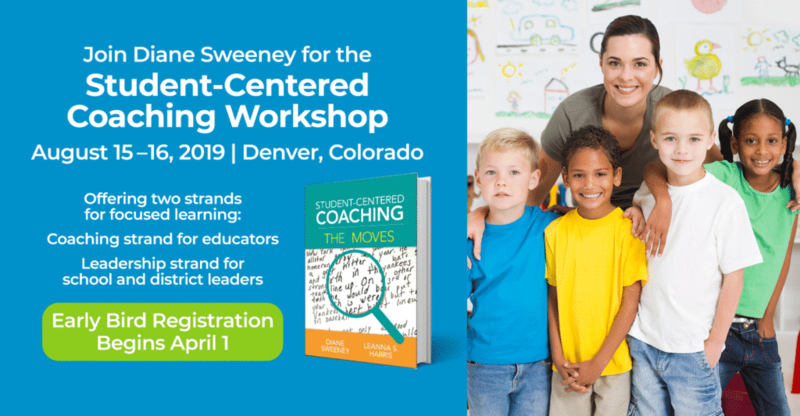 You can download a PDF of the Student-Centered Coaching Tool Kit here. You may need a mobile app to view PDFs.